Clearly one of the things you want people to understand is the uncertainty of things. I mean, how you really have to look at a variety of alternative futures. Any notion that you know whats going to happen, I think is, not going to work. 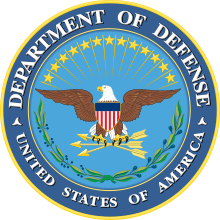 Andrew W. Marshall (born 13 September 1921) is the director of the United States Department of Defense's Office of Net Assessment. In his early years he was a main member of the RAND Corporation's, council per se, on nuclear strategy and theory, along with Herman Kahn, Albert Wohlstetter, Harry Rowen, and William Kaufmann. Appointed to the position in 1973 by United States President Richard Nixon, Marshall has been re-appointed by every president that followed. While the group of real strategists at RAND probably never numbered more than about 25 people, the overall quality, in sheer intelligence and intellectual breadth, is simply astonishing. Well I certainly second that, I think in addition, well I mean other things I've written suggest reading a lot of history, and uh, clearly one of the things you want people to understand is the uncertainty of things. I mean, how you really have to look at a variety of alternative futures. Any notion that you know what's going to happen, I think is, not going to work. In fact, as we shall see in the next section, most attempts to explicitly measure military power are mere tabulations of forces of various sorts: the numbers of men underarms, the number of weapons of a given type, etc. This is in itself an evasion of the problem since it says nothing about the actual capabilities of the forces of one country to deal with another. Merely adding up all U.S. forces and comparing them with Soviet Forces, actual or potential, present or future, does not really tell one very much. On reflection, it is not even clear if military power is a transitive relationship. Until we have defined more explicitly how we are going to measure military power, it is not clear that if A is more powerful than B, and B more powerful than C, that A is more powerful than C.
He is the kind of guy who attracts the attention of brilliant people and so when he was at the university of Chicago during World War II he was ruled ineligible for the draft because of a heart condition so he went to work in a munitions factory, actually weapons plant building bombers, parts for bombers but he was working with this metal shop at the university of Chicago and earn some money to pay for his education. In walks a guy who is working on his cyclotron and they haul off Marshall and he helps them fix fix it with order of magnitude improving in the cyclotron. He ends up playing bridge with a guy named Kenneth Arrow who ends up winning the Nobel prize in economics. It's one after another after another and it almost reminds you of the Forest Gump. You have this really smart guy who keeps bumping into all these fascinating people. And the other thing I guess that's quite interesting is he is sort of on the ground floor of some path breaking work on how we understand human behavior, behavior of organizations and there was a huge debate in the 1970s of how formidable the soviet union was. It was a big battle between Marshall and the CIA and he had the moral convictions to pursue that debate. In the end he was proven right. The other thing I would say, another reason we haven't heard a story he is terrible at self-promotion which is why we had to do the book instead of him. [laughter] but I used to kid and say you throw words around like manhole covers. These sorts of things but behind that sort of exterior masks a very emotional person and there are some stories in the book and I'd be glad to talk to you about them if you're interested of the deep feeling he has about other people, but the people he has mentored, many over the years and also about his country. I thought that was reflective of the other to the greatest generation. Marshall's page at RAND Corp. This page was last edited on 27 September 2018, at 16:44.